The first thing you think about when you see the name of this Magento 2 module is its regard to newsletter subscription, but how can a newsletter subscription extension cost $699? It is nonsense! Even the most reliable module of this kind will never get such a price tag. Luckily, the Magedelight Subscribe Now Magento 2 extension has nothing to do with newsletter subscriptions. Indeed, it is a very reliable tool designed to implement subscription and recurring payments functionality on the basis of a Magento 2 website. First of all, we’d like to draw your attention to the core features of this Magento 2 subscription plugin. 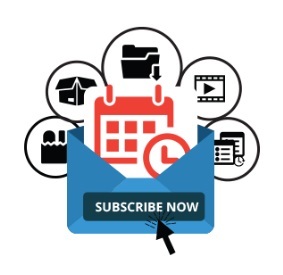 Use notification system – inform customers when a subscription starts, ends, is canceled, or updated. Handy reports with statistics on product subscriptions and subscribers. 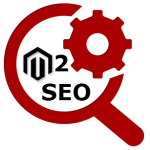 Subscription and recurring Magento extensions are often used in case of newspapers and magazines. Another direction is represented by food and water. With the Magedelight Subscribe Now Magento 2 module, you can easily leverage the recurring functionality for any product you need. From the customer side, the Magedelight Subscribe Now Magento 2 extension radically simplifies the shopping experience. A customer should select a product and subscribe to it. Next, the module eliminates shopper’s interaction with the item, since all future purchases are performed automatically until the subscription is expired. At the same time, all subscription profiles are gathered in a customer account under the My Subscription Profiles tab. Here, a customer can view and manage each profile. With Subscribe Now for Magento 2, your customers get the ability to buy one-time products along with subscription ones and put them together in one shopping cart. As for the list of supported payment gateways, it contains such popular solutions like Authorize.net, Stripe, First Data, CyberSource, Moneris, Braintree, Adyen, Paypal Payflow, Ingenico, and Cash on Delivery. Besides, the Magento 2 Subscribe Now extension can be integrated with eWallet, allowing your clients to use their e-wallets balance to pay for subscriptions. This way, the need to save a credit card details is eliminated. As for merchants, this option is especially beneficial in case they don’t use payment gateways that support tokenization on their stores. Let’s proceed to the backend section of the module to find out how it works from the perspective of Magento administrators. Under Stores -> Settings -> Configuration, you can find all the necessary settings to configure the Magedelight Subscribe Now Magento 2 extension according to your ecommerce requirements. The module’s configuration is divided into two sections: E-Wallet Configuration and Subscribe Now Configuration. In the first section, you enable/disable the appropriate functionality, create an eWallet title, specify product ID, and activate the “Refund Amount Transfer to E-Wallet” setting. Then, decide whether you want to receive notifications on eWallet transactions and select a required email template. In Subscribe Now Configuration, first of all, enable Magento recurring payments by setting the “Enable Subscription” parameter to “Yes”. Next, create subscription intervals. Select an interval type: it can be Day, Week, Month, or Year; specify the number of payments per each interval and create appropriate interval labels (e.g., Once in a day, Twice in a week, Once in a month, or six times in a year). The number of failed payments that suspends the recurring profile must be specified in the “Maximum Payment Failed” field. Type “0” to suspend the profile right after the first failed attempt. Next, select payment gateways, store wallet, and shipping methods. To provide customers with the ability to update billing and shipping addresses, set appropriate options to “Yes”. It is also possible to set the number of days before payment is placed to allow customers to edit their subscription profiles. In “Send Reminder Of Occurrence Before”, you can specify the number of days before occurrence to inform a customer about it. Here, you also specify the period for sending e-wallet topup reminder. Besides, you can configure cron to generate orders for subscription profiles: set Cronjob frequency and start time. The next tab is Product Subscription Configuration. It allows setting a limit on the qty of subscriptions per product. You can leave it empty to avoid the limitation. It is also possible to enable/disable summary block on a cart page, add text for a subscription product list page (+header summary and summary texts). Other options allow you to enable free shipping for subscriptions, as well as let customers skip, pause, or cancel subscriptions. As for Product Subscription Email Configuration, this section allows specifying an email sender and select templates for various notifications. It is also possible to decide on an email address for sending email copies. Now, let’s see how to manage subscription products. On the products grid, select a product for which you’d like to enable subscriptions, then find the “Subscribe Now” tab. Note that all products except the ones related to the group product type support Magento 2 subscription payment functionality. While on the tab, you can enable/disable recurring payments for a selected product. Next, configure subscription options: subscription only or both one time purchased and subscription. Then, choose a discount type and specify its value. 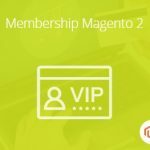 The Magedelight Subscribe Now Magento 2 extension also allows you to specify the initial fee for the subscription. Then, configure billing options: specify who defines the billing period (administrator or customer), what is a billing period, and how many billing cycles it has. Next, select when to start a subscription (Moment of Purchase, Defined by Customer, Last Date of Month, Exact Day of Month) and decide whether to allow customers to update the next subscription date. Here, you can also enable a trial period and set its parameters: select billing period for a trial occurrence, define different trial billing amount for a trial occurrence, and set the number of occurrences to be considered as a trial cycle. All product subscriptions are available under Sales -> Operations -> Product Subscription in the grid that shows a profile reference ID, payment method, time and date of creation/modification, next occurrence date, product name, customer name and email, and subscription status. You can select a subscription to view and edit its details. All the necessary information is available in four tabs: Profile Information, Related Orders, Profile History, and Subscription Occurrence. While editing the Profile Information section, you can see and modify such details as the quantity of goods in the subscription profile, credit card details, and billing/shipping addresses. Subscription history can be viewed here as well. Under the Related Orders tab, the Magedelight Subscribe Now Magento 2 extension displays orders linked to the selected subscription profile. Thus, you can quickly view and edit them. In Profile History, you can see all admin, customer, and Cron activities in the profile. The Subscription Occurrence tab shows a grid with details on occurrences. Next, go to Reports -> Subscription Reports -> Product Subscription Report. The section allows you to apply filters to display only the necessary information in the grid. As for the grid, it shows various time intervals (depending on your selection), products under subscription, subscriber count and the number of active/pause/cancel subscribers. Exporting this data via CSV is possible. Note that there is a similar section related to customers under Reports -> Subscription Reports -> Customer Subscription Report. Below, we describe how the Magedelight Subscribe Now Magento 2 extension works on the frontend. This Magento 2 subscriptions and recurring payments extension allows checking whether the subscription is available right on the category page. In our example, it is Health & Fitness where you can subscribe to Total Protein Muscle Building Sustain Protein Powder and the Om Yoga magazine. As you can see, it’s up to you to decide what products can be purchased on the subscription basis on our Magento 2 website. If you hover over a product image, the Add to Cart button will appear. You can use it or the Subscription Product link to configure the future plan. 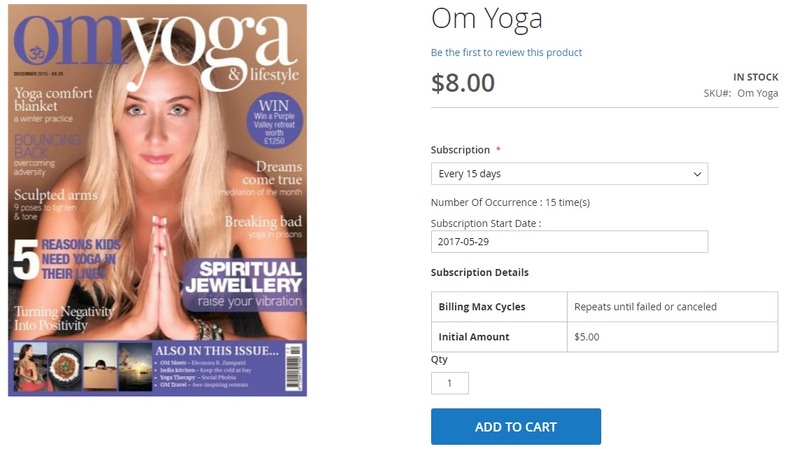 For the magazine, select the period of subscription (every 15 days, monthly, quarterly, or yearly) and specify subscription start date. Besides, you can change the quantity of selected items. As for subscription details, they are: Billing Max Cycles and Initial Amount. In case of the protein powder, you can purchase it as a one time order or as a subscription order. For the second option, select period and qty for each supply. Now, let’s see what happens in a cart. 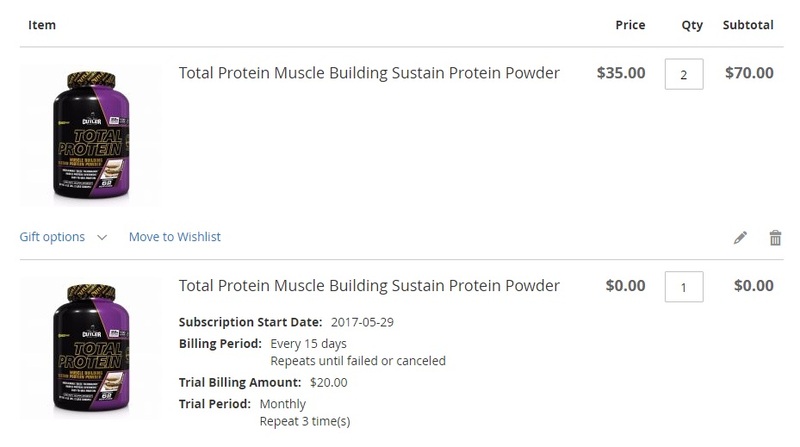 The quick cart widget shows subscription details, and they are displayed in a full cart as well. If it is a subscription product, the Magedelight Subscribe Now Magento 2 module shows Subscription Start Date, Billing Period, Trial Billing Amount, and Trial Period. Besides, there is a subsection in Summary – Your Subscription Plan as configured below. Next, you checkout as usual. Note that the provided credit card details will be used for recurring payments for subscription goods from the cart. 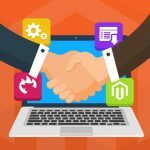 If you are looking for a reliable Magento 2 subscription extension, you’ve already discovered it. The Magedelight Subscribe Now module not only provides all the necessary features that make the subscription functionality possible in Magento 2 but also offers the easiest way to create and manage subscription products from the backend, as well as purchase these goods on the frontend. Although $699 is not the lowest price for such a smart tool, the Magedelight Subscribe Now is completely worth its money. Besides, free installation service and 180 days of support are included. So, don’t pass by and give this Magento 2 subscriptions and recurring payments extension a try.